A group of researchers published a paper this week in the British scientific journal, Nature, claiming that they can predict the location of aftershocks using artificial intelligence (AI). An aftershock is a smaller earthquake following the main shock of a large earthquake. 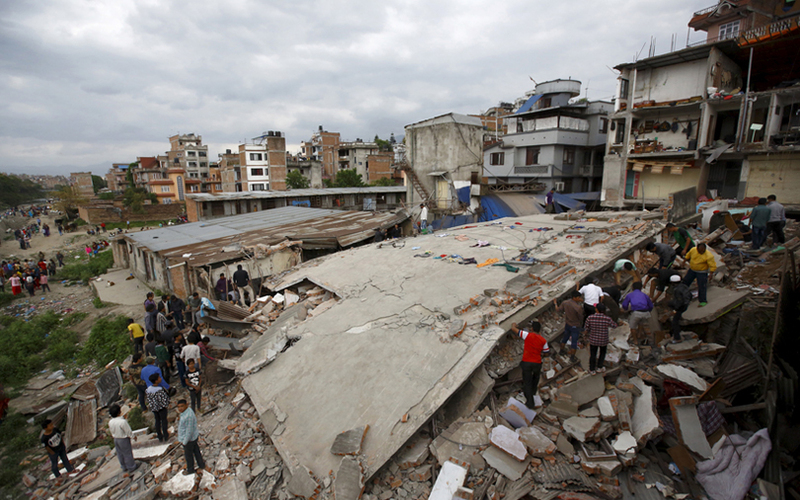 Days and even months after an earthquake, danger looms in the form of small, follow-up shocks. Aftershocks are thought to be, at times, more destructive than the quakes they follow. Till now, seismologists have been able to pinpoint the size and timing of aftershocks, but failed to predict their areas. However, the researchers from Harvard University and Google say their neural network can change that. According to the journal, they fed data on 131,000 mainshocks and aftershocks into the neural network. They designed the neural network to produce a grid of 5 km-by-5 km cells around the site of each mainshock. In the next step, the neural network was fed data that showed how the stress level at the centre of each cell changed due to the mainshock. After this, the neural network predicted the likelihood of each cell suffering an aftershock. "The previous baseline for aftershock forecasting has a precision of around 3% across the testing data set. Our neural network approach has a precision of around 6%," said co-author Phoebe MR DeVries, a post-doctoral fellow at Harvard, in Nature. The test results showed that 6% of the areas alerted by the programme as high-risk zones did actually experience aftershocks, doubling the efficiency registered by the existing methods. The researchers used the programme to map relationships "between the characteristics of a large earthquake -- the shape of the fault, how much did it slip, and how did it stress the earth -- and where aftershocks occurred," said co-author Brendan Meade, professor of earth and planetary science at Harvard, in Nature. There is noted hesitation from Gregory Beroza, a professor of geophysics at Stanford University, to acknowledge the accuracy of the research on the grounds of it focusing only on one set of changes caused by earthquakes that can determine where aftershocks occur. "Another reason for caution is that the authors' analysis relies on factors that are fraught with uncertainty," he wrote in Nature. DeVries acknowledged that more factors may affect aftershock locations and much still needs to be done. "We definitely agree that this work is a motivating beginning, rather than an ending," she said in Nature.